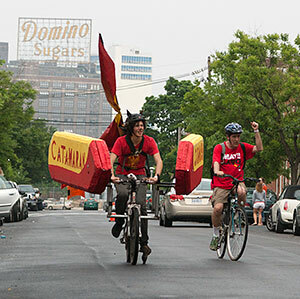 Cat-A-Maran shares the lineage of the Philadelphia Dumpster Divers, who have sent an entry to Baltimore every year since 1999. Here, the pilot won an ACE for design skill and fortitude, including the challenging water exit, where the crowd intensely supported his success. 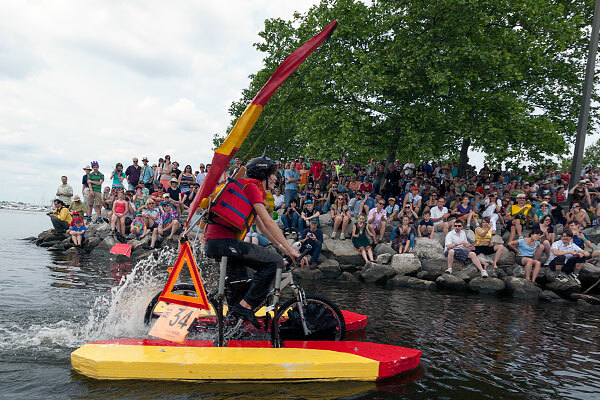 The judges took a new turn on 2012’s Golden Flipper award, officially designated for the “most interesting water entry”. 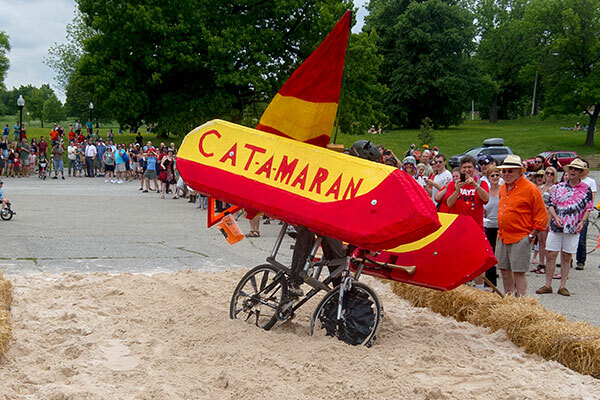 This year, it went to Cat-A-Maran for pulling off the water entry so smoothly that one might forget how difficult it is. Navigating the sand presented a great challenge. To maintain ACE status, a racer’s feet cannot be in contact with the ground providing forward propulsion. The crowd enthusiastically cheered on the pilot, who pulled through. 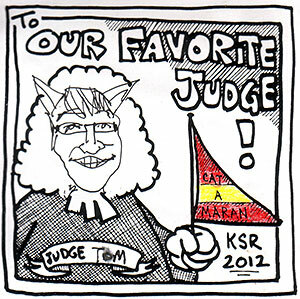 Cat-A-Maran bribed race officials and incidentals with an on-the-spot caricature.